Macau – a fusion of East and West in lifestyles, architecture, and food. Macau is also known as “The Vegas of China” but the city is so much more than that, it is a place where you can feel the rich Portuguese heritage fused with Chinese culture in every corner of the street. A Portuguese colony for more than 300 years, it is a city of blended cultures, where even ancient Chinese temples sit on streets paved with traditional Portuguese tiles. Living in a world with different cultures and views, we must constantly remind ourselves to reset our mindset, learn to appreciate and absorb new knowledge, and to keep pace with the times, as this will help us to be innovative, to keep on learning and expand our dreams. Only then can we lead more teams towards success, and create greater milestones for the company. 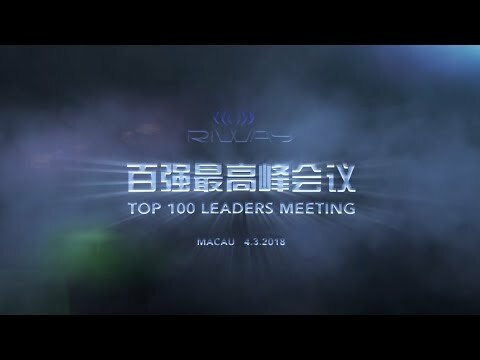 Exclusively for RIWAY’s top 100 leaders, this was the best opportunity for you to measure your worth and to attend our first Top Leaders Meeting of 2018, as this meeting definitely took the lead in our 10th Anniversary celebrations!